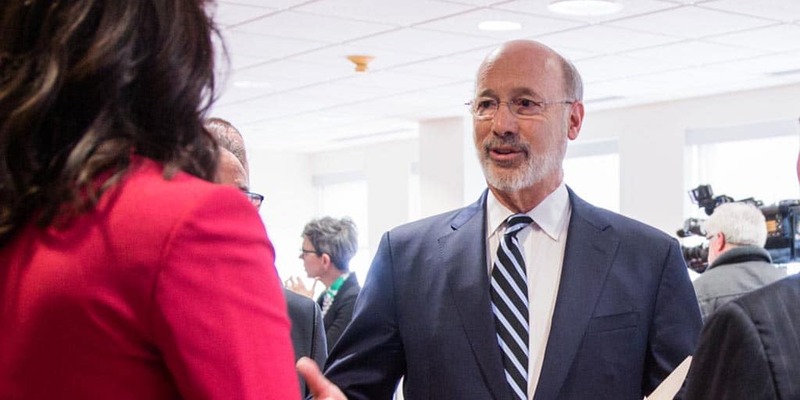 Harrisburg, PA – Governor Tom Wolf announced today his administration, through the departments of Human Services and Health, is awarding five grantees $3 million in support for community health workers in North Philadelphia’s Health Enterprise Zone (HEZ). These programs created projects that will use community health workers to address health disparities in children, older adults, and those who are frequent users of medical services by increasing health promotion and education in the HEZ. Community health workers bridge the gap between health care providers and patients by helping patients navigate the health systems and social support services available in their community, as well as advocate for the patients they work with. Community health workers are trained by medical and public health professionals and typically come from the communities they work with, ensuring cultural competence as they help residents live healthier. Zip codes within the HEZ include: 19120-26, 19130-34, 19138, 19140-41, and 19144. As stated in the RFA, which was announced in October 2018, the grantees also will develop partnerships with other local entities to ensure sustainability beyond the grant period. A portion of grant funding can be used for community health worker education and training. The HEZ was identified through a partnership between the Department of Human Services, the City of Philadelphia, area hospitals, universities, and community partners. More than 580,000 Philadelphia residents are covered by Medicaid, and approximately 320,000 reside within the eight-mile-long North Philadelphia HEZ. The zone spans from the beginning of Broad Street in the West Oak Lane section of the city to City Hall and includes four health systems, three of which are academic medical centers. Despite this, beneficiaries in zip codes around this corridor experience multiple health conditions and significant socio-economic barriers that result in high medical costs and utilization and chronic poor health. In June 2017, the Wolf Administration announced a $1.5 million investment in Philadelphia City community schools to leverage and connect schools to the large array of health-related services that are available for Philadelphia’s children who attend community schools in the North Philadelphia HEZ. This program continues to work toward new and innovative community-based approaches to coordinated health care and to reward strategies to minimize health disparities, improve health outcomes, and stabilize and reduce care costs.